Are you considering contact lenses? If you are completely new to contact lenses, our doctors and technicians work to help you become a successful wearer. We offer a training session where you will learn how to insert and remove lenses, how to properly care for lenses and some troubleshooting information. We want to make sure you are successful with your new contact lenses. Your Heart of America Eye Care doctor will invite you back for a quick follow-up appointment. At this visit, vision will be assessed, lenses will be viewed and any problems or concerns will be addressed or resolved. If you ever find yourself having difficulties with your contacts, please do not hesitate to call our office for assistance. 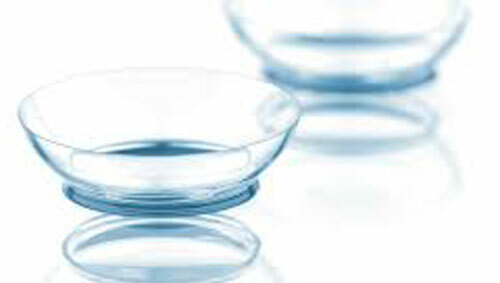 Heart of America eye doctors are highly skilled in the fitting and evaluation of different types of contact lenses. We participate in contact lens research and continuing education to stay abreast of developments in the contact lens world. We examine the tear film layers, eyelid function, and surface of your corneas. Your doctor then recommends the proper lens design, material, size, and shape that will allow you to have the best comfort and vision possible. Some patients will require a specific lens cleaning solution for their lenses. Contact lens evaluations need to be performed yearly to ensure your eye’s health and to provide maximum vision improvement. We encourage our patients to take excellent care of their eyes and that includes proper contact lens care. Schedule an appointment for contact lens evaluation or fitting.